Cut larger birds into pieces, the same as you would a chicken. You’ll also find the livers from medium and large-sized birds are big enough to save and will taste very similar to chicken livers. Here’s another hint. Freezing a bird for a week or two will help tenderize it. 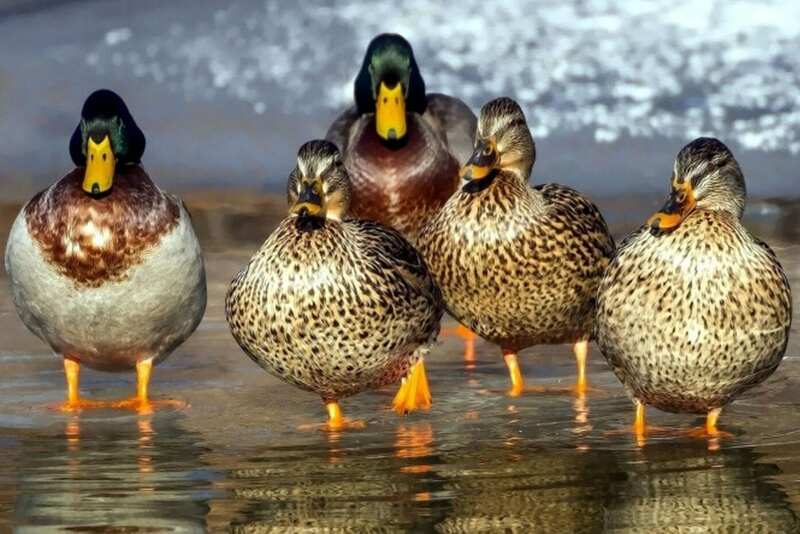 NOTE about DUCKS: In the fall, ducks usually have fine- flavored meat, and any stuffing can be used with them. At other times of the year, they may be more strongly flavored and are improved by soaking the cleaned birds for 2-3 hours in fairly strong salted water to which 1 tsp. baking soda has been added. If ducks prepared this way are to be kept under refrigeration for a few days, after wiping them dry, put a few slices of onion in the body cavity. This will help remove the excess gamey taste, and the onion is to be discarded before the ducks are cooked. However, like all game birds, ducks should be allowed to hang at a temperature just above freezing for at least 48 hours before they are cooked. The length of time and temperature at which they are allowed to hang beyond that period will control how “high” or gamey they are allowed to become. This should be determined by personal taste. *1 serving = 2 quail, 1-2 squab, 2-3 doves, or 1 small duck. *You can figure on at least 2 servings from 1 pheasant or 1 large duck. *A 4-6 lb. goose should feed 4-6 people.